Common logic would have it that tradition and change are opposite agendas pitted against each other -- but for Lutherans, that is not true. Reformation is our tradition. This Sunday, Reformation Sunday, marks the beginning of the 500th Anniversary of the Reformation. In this same year, ECLA Presiding Bishop Eaton proclaimed to Lutheran churches across America: "We are not a dying church, but we are a changing church." At Advent, we are a living example of uncertain steps beyond monocultural Lutheranism that Bishop Eaton is seeking to push the ELCA toward. How can we continue to live into this identity and become the Lutheran church of the present and future? Talk about change tends to evoke a mixture of excitement and discomfort. As we all shared our visions for Advent as part of Consecration Weekend, one Congregation Council member, Jon Dohlin, shared a vision that lives in this tension: "I want our church to innovate ways to engage a more diverse population and new visitors -- but the Lutheran tradition echoes in me, and traditional Lutheran liturgy is where I meet God. My question is, how can I let go of some of that comfort to engender a faith community that will reverberate with people coming from different backgrounds, coming from a modern technological society? On the other hand, how can we make sure we don't lose the best parts of Lutheran tradition in the process of changing?" We have pledged our giving to sustain and empower this faith community in 2017. Now let's be a vibrant example in the ELCA what an urban Lutheran faith community that speaks two languages and includes a wide variety of races, cultures, and identities can become. In everyone's visions from Consecration Weekend several clear trends emerged. We want to become unified as one congregation made up of many cultures, three worship times, and two languages. And we want to reach outside our walls to invite diverse newcomers into our faith community. Taking initiative and making changes to accomplish these visions may at times feel like stepping out of our comfort zone into an uncertain future. In those moments we must remember that God is calling us to this bold mission of reformation and love, that God accompanies us in the midst of struggle and success, and that God never tires of assuring us, "Be not afraid." Where do you believe reformation would enrich our congregation's ministry and outreach? What are some of the best aspects of our tradition that should be preserved? Share your answer here. Your ideas could inspire our congregation or contribute to the development of new programs and initiatives here at Advent. Making a pledge to give in 2017, however big or small, is a powerful way to support the realization of bold visions and meaningful changes at Advent. If you would like to support our vision and mission by adding your pledge to those who pledged on Consecration weekend, we invite you to make your 2017 pledge online. Thank you for all the thought, time, prayer, and gifts you share to fuel the vision of our faith community. 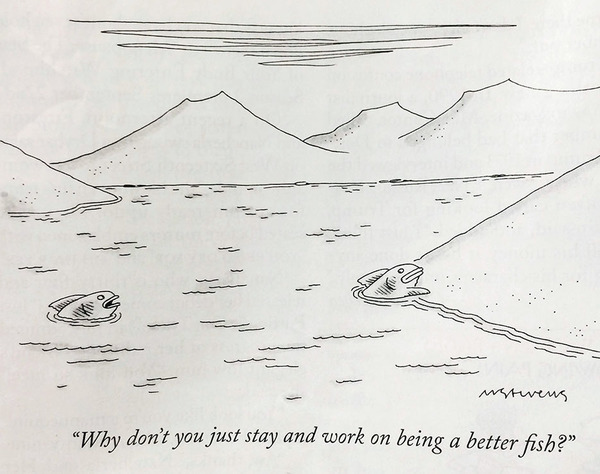 *The cartoon above is from The New Yorker. What does this say about reformation to you? Who are the people who bring life and character to this church? Imagine having pictures and names to share with each other, a new pastor, and visitors. 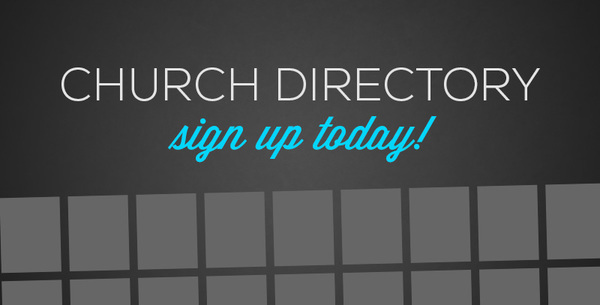 A new directory is not only a powerful resource for all of us, but also an amazing gift for a new pastor. We have over 40 ministries here at Advent. Confirmation, Sunday School, The Vine NYC college gathering, Adult Conversation, and Community Lunch are coming up this weekend, and we've got more right around the corner. Check out our Ministry Calendar to find the details of your next program event at Advent. If you're looking for a ministry to get involved in but aren't sure what to do, let us know and we'll help you find a ministry of learning, service, or fellowship that is right for you. Adult Conversation | Join us for a discussion of "The Reformation, then and now." Meets at 10:10am in the basement fellowship hall. The Vine NYC | Creative worship for NYC college students. Meet from 5:30-7:30pm at Gustavus Adolphus Lutheran Church. Directions.